Use white construction paper as background. 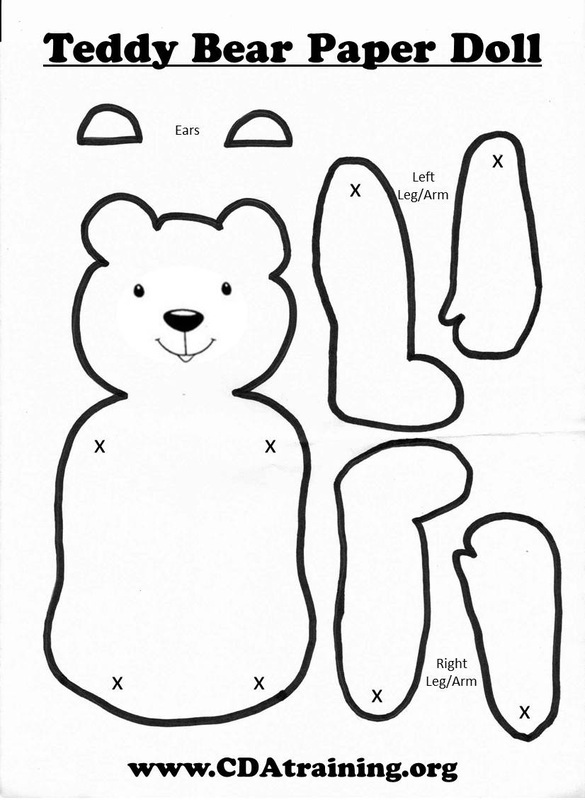 Glue scraps of torn construction paper onto white paper to create an image of a bear. Spread peanut butter onto toast. 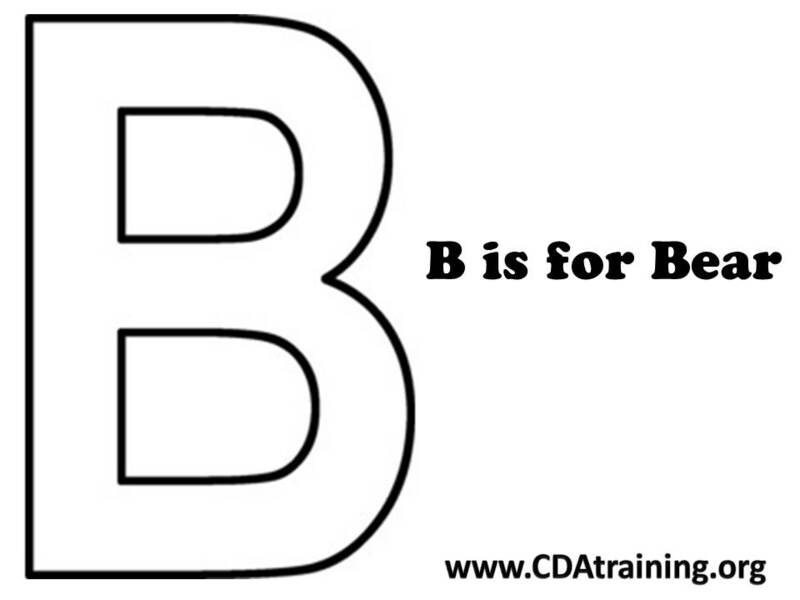 Place a slice of banana onto both corners of top side of toast. 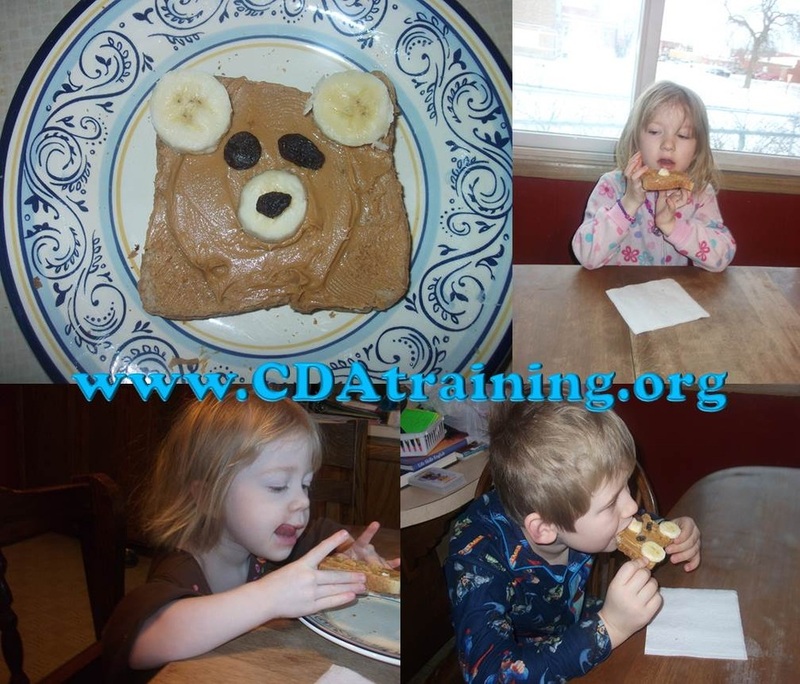 Place a slice of banana into the center of the toast. Add a raisin to the middle of each banana slice. Serve! 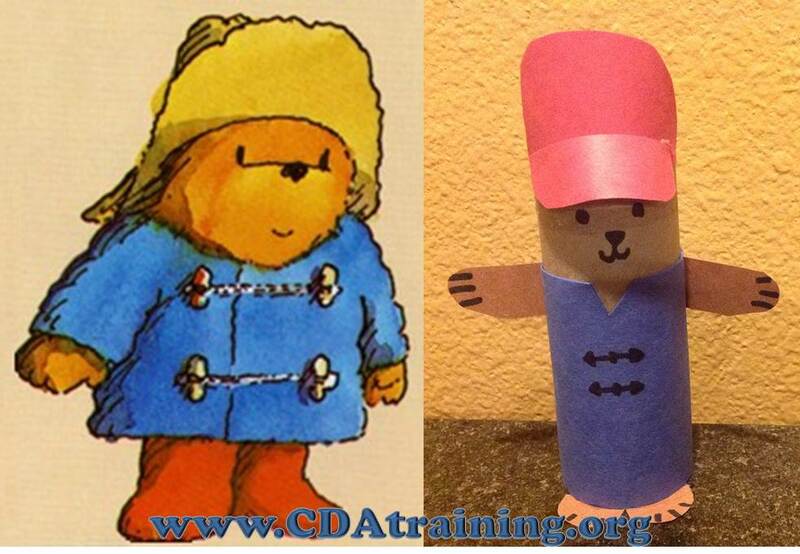 Assist Children in creating their own Paddington using a toilet paper roll and construction paper. 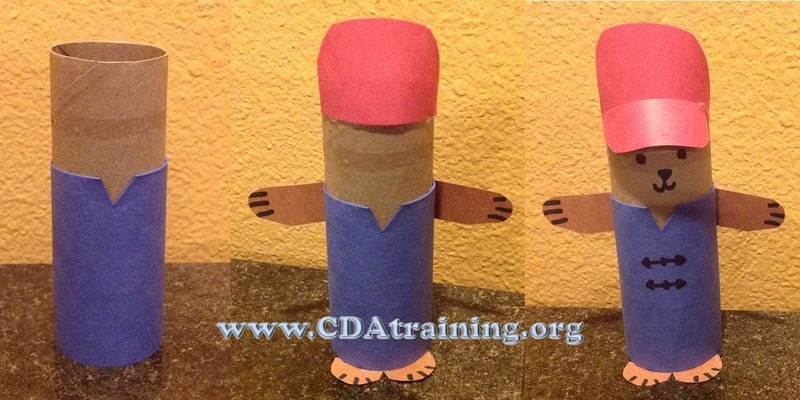 Red, brown and blue construction paper, toilet paper roll, glue, and a black pen or crayon. Measure and cut blue construction paper to cover 3/4 of the toilet paper roll, cut a V-shaped notch in the top-middle of the paper before pasting onto the roll. Next, using the red construction paper, cut a half circle shape and paste to top of roll. Using brown construction paper cut out two long ovals, to be used as arms, use your black pen to draw 3 lines to create paws before pasting onto your roll. Using the same brown construction paper, cut two circles to create feet and draw 3 lines to create toes before gluing onto bottom of roll. 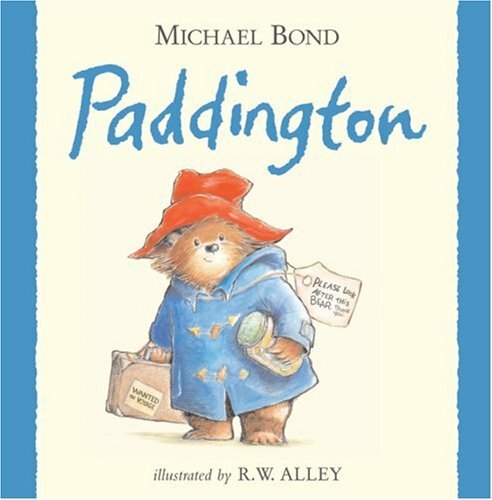 Finally, draw on jacket clasps, and face to your very own Paddington. 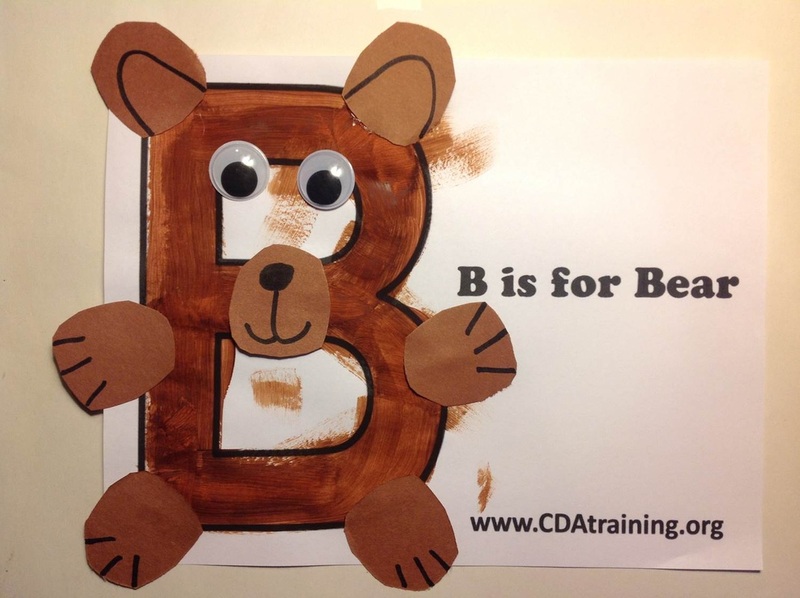 Assist children in painting their B brown, and allow to dry. Cut out 7 circles from your brown construction paper. On 4 of the brown circles, draw lines to make them look like paws. On two of the circles, draw crescents to look like ears. On the final circle draw a nose and mouth. Glue on all 4 paws, nose, wiggly eyes, and ears. Paint plate brown, and allow to dry. 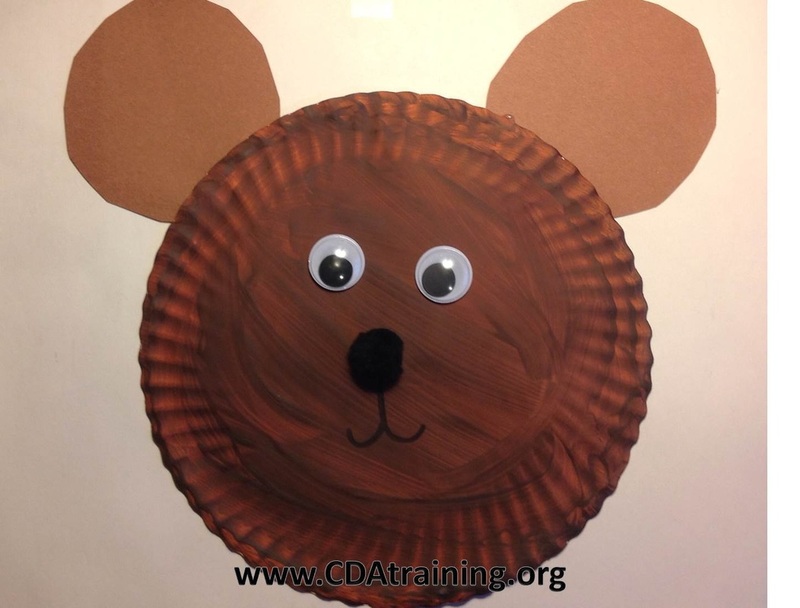 Use brown construction paper to cut 2 circles for ears.Once plate is dry, glue on wiggly eyes, pompom nose, and ears. 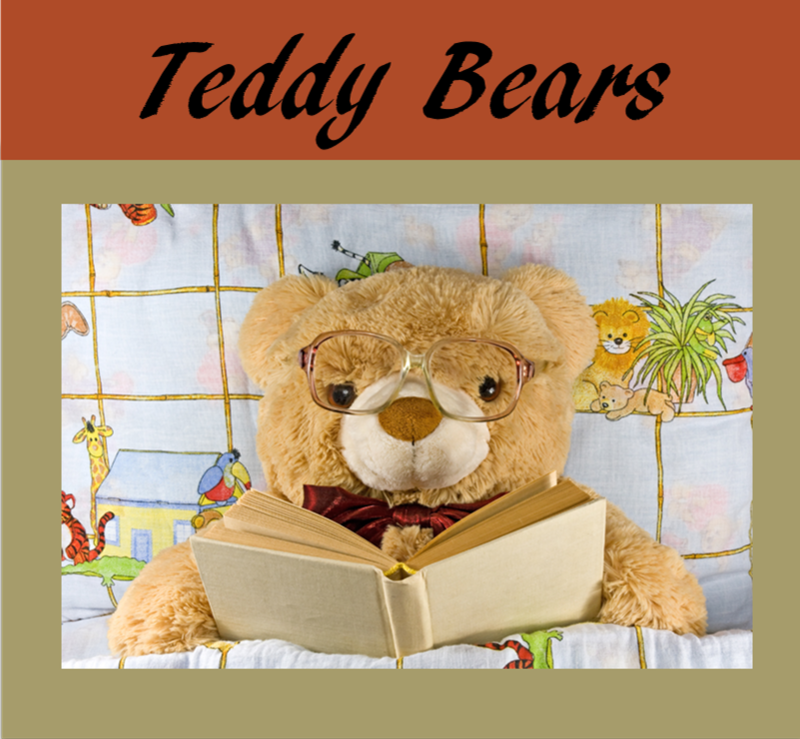 Use pen to draw on a mouth for your bear.